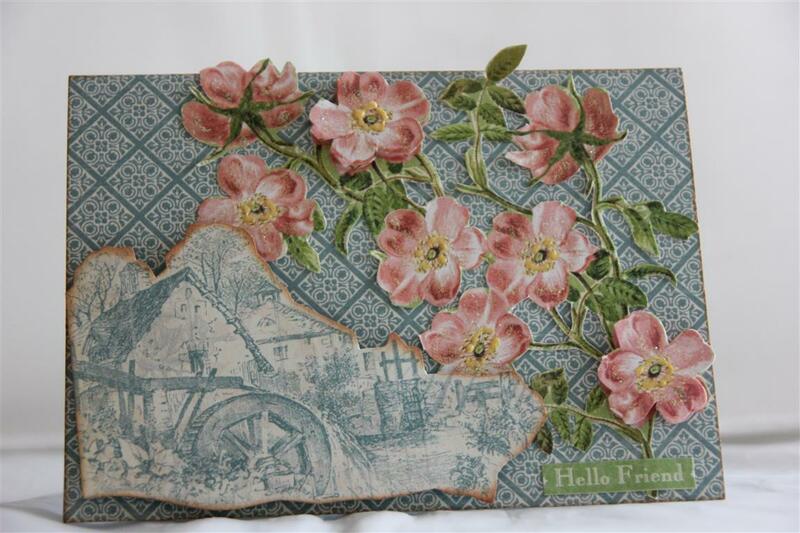 This is Kaisercraft Blubelle 6″ pad with the matching collectables. I used a lot of the collectables to layer on top of each other and added a ribbon bow and some gold liquid pearls to finish.Today has been a day of finishing bits and pieces in the craft room, and now I am ready to face the week with a cleared craft table! Til tomorrow…. 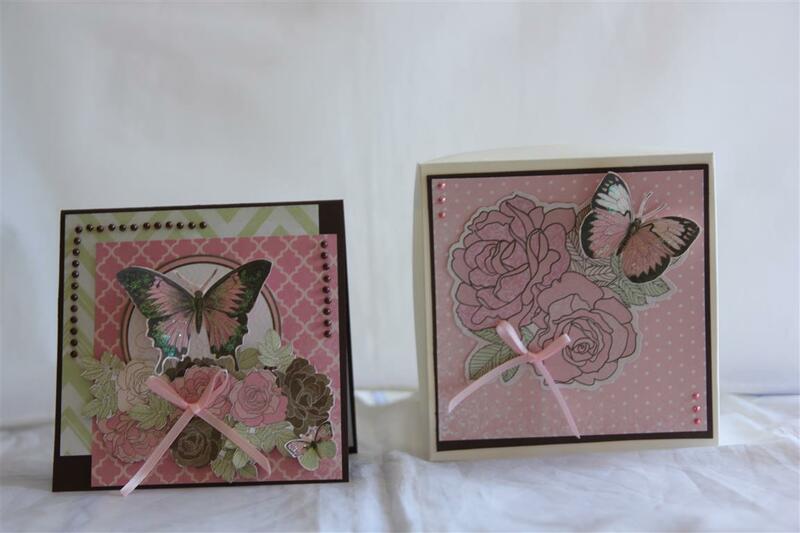 As I have mentioned before I have been making a few cards and matching boxes for my stall in June at the local craft fair, and this was one of them.The card is on the left, and I used stampin up cardstock, matted a couple of papers from Bo Bunny primrose collection, fussy cut the butterflies and flowers along the bottom, and added some Kaisercraft pearl strips. the box is on the right hand side, and I kept the decoration quite simple , using another fussy cut butterfly and a die cut from the same collection. Liquid pearls and a ribbon bow to finish off the decoration on that one. the end of a long working week and I am looking forward to some relaxation time, and some experimenting with some new tools that I will share next week! til tomorrow…. this is one of my favourite sketches ( a map for setting out my card design) and I use it frequently! 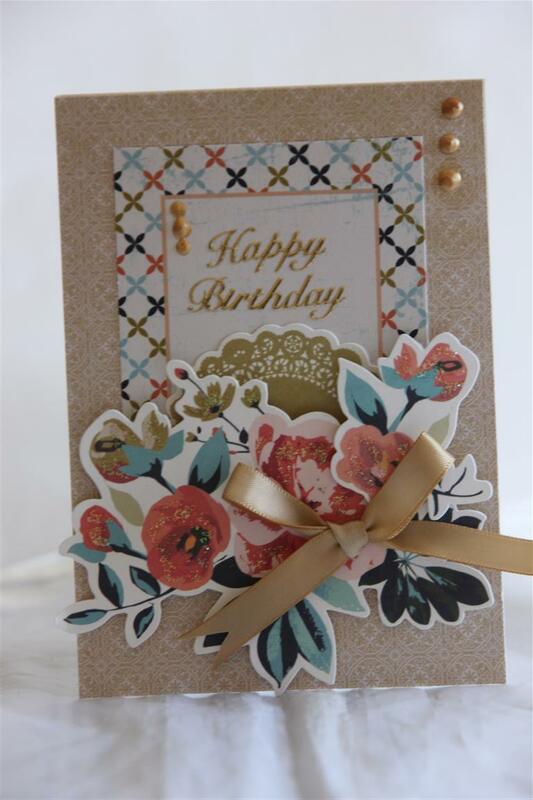 The paper collection is from Prima – Something Blue, and I distressed and inked( tea dye distress ink) all my edges. 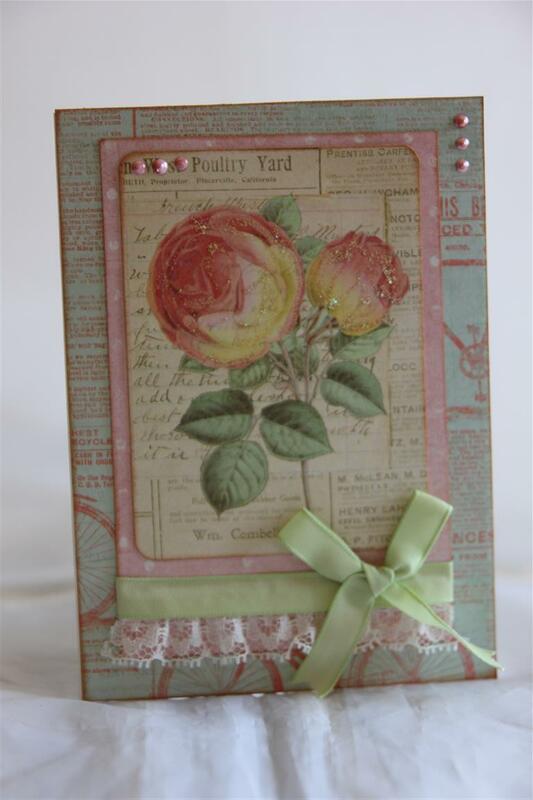 The gorgeous charm is from Prima, and I added a ribbon and some liquid pearls, and kindyglitz.looking forward to card club tomorrow and a new challenge! til tomorrow…. Recently i bought some of the new Prima Something blue collection. I bought the A4 paper pad and a pack of atc sized cards – I think there were 36 or 48 cards – ( I will check before next blog post and let you know) and these cards had all sorts of images on them. This is the first card I made using them.I did some layering, sponged the edges with tea dye distress ink and rounded my corners. I added some lace and ribbon and liquid pearls, and a vintage style card done! til tomorrow…. This next group of cards that Nathan and I photographed is a real mix and match! 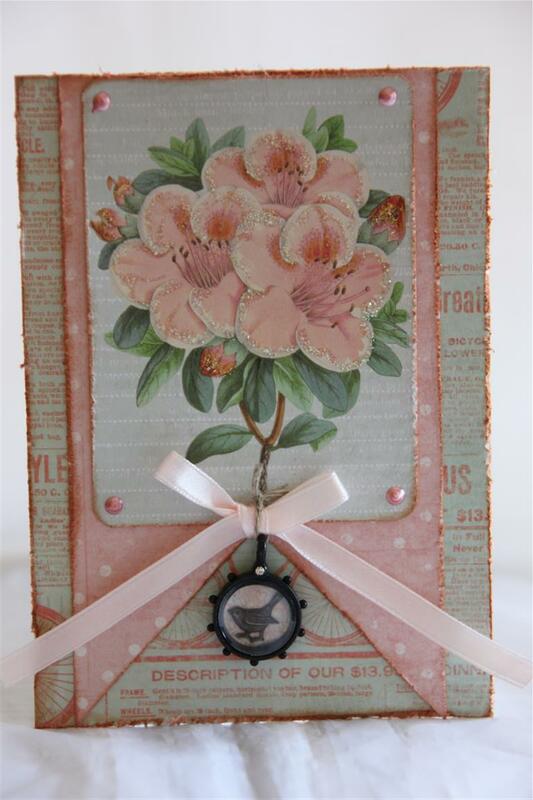 This one is a vintage style card,which I made with Tilda Country Escape papers. They came in a 12 x 12 pad, and there were a few pages of die cuts included in the pad which made it great value.I have run 2 strips of paper down the card and hidden the join with a wide ribbon. 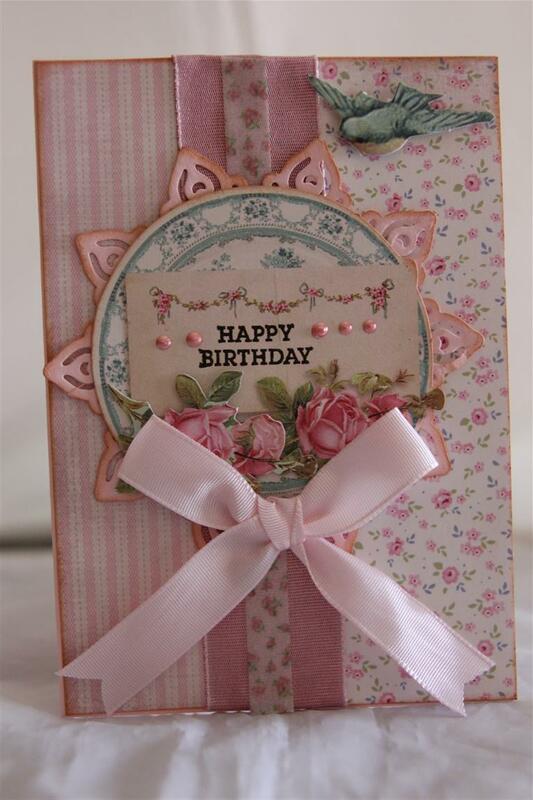 I used another wide ribbon for the bow, added a die cut ( spellbinders persian motifs) and some liquid pearls. I inked around all my pieces with tea dye distress ink, in keeping with the whole vintage style. 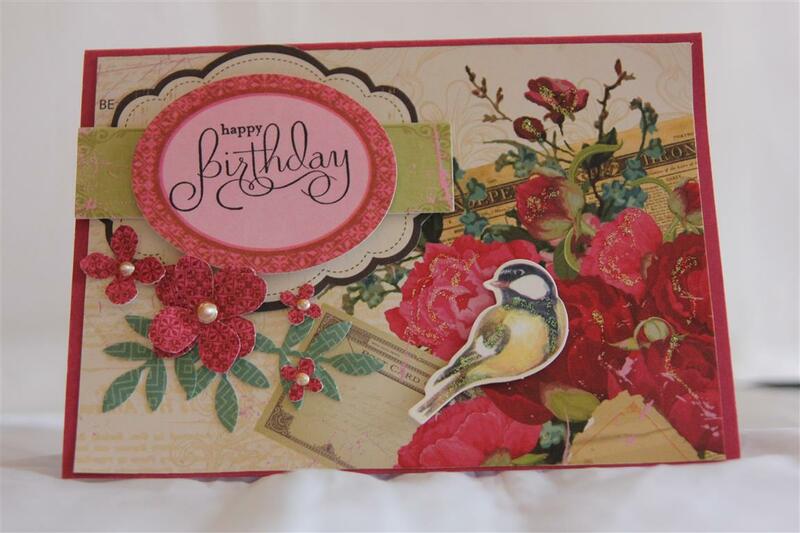 I am off now to organise Nathan to get the camera out and photo some new cards, til tomorrow….